A: TRD's are naturally protective of their family and territory. 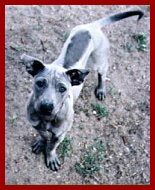 They do tend to be aggressive toward other dogs, unless properly socialized at a young age. The females can be more aggressive with each other as it is natural for them to be protective of their home. Males will often play together if introduced appropriately. But not always. A:Yes and No. The TRD is RECORDED with the AKC's Foundation Stock Service. They are fully recognized by the UKC. 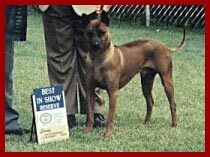 They are able to be shown at rare breed shows and fun matches all across America. In Europe they are shown under a group called FCI. A:No problem, as long as you socialize them properly like you would do with any dog, it is more a matter of how well the children behave around the dogs! 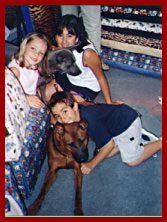 Children must be taught how to properly behave with dogs, or any animal for that matter. If the children are well behaved, the TRD will be the same. 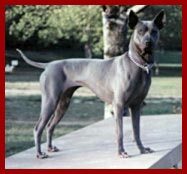 Q: Q: Does the Thai Ridgeback Dog make a good watch/guard dog?